If you think you have a risk of developing DVT, see your GP before you travel. DVT occurs when blood flows too slowly through the veins. The blood forms a clot that blocks up deep veins, usually in the legs. DVT doesn’t generally have any immediate symptoms, making it difficult to spot. However, typical signs include a swollen or painful calf or thigh, paleness and increased heat around the affected area. If left untreated, people with DVT are at risk of developing a pulmonary embolism, when part of the blood clot breaks away and travels to the lung, which can be fatal. 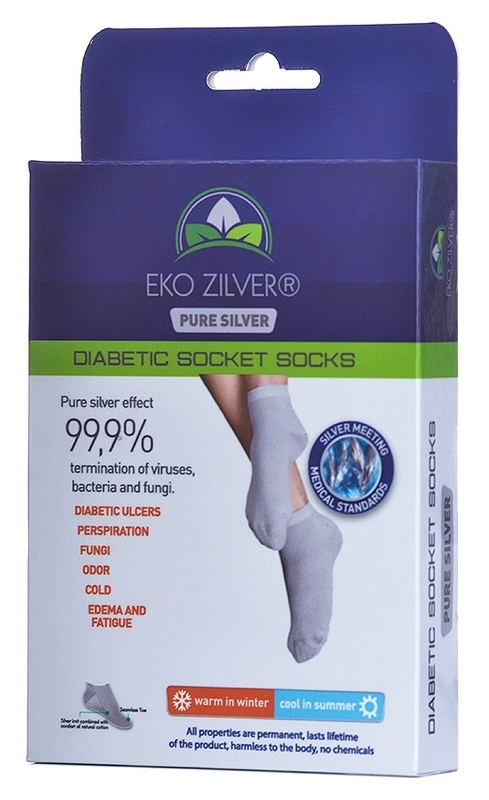 Flight socks with Silver are recommended for people at high or moderate risk of DVT. They should be worn throughout the flight. 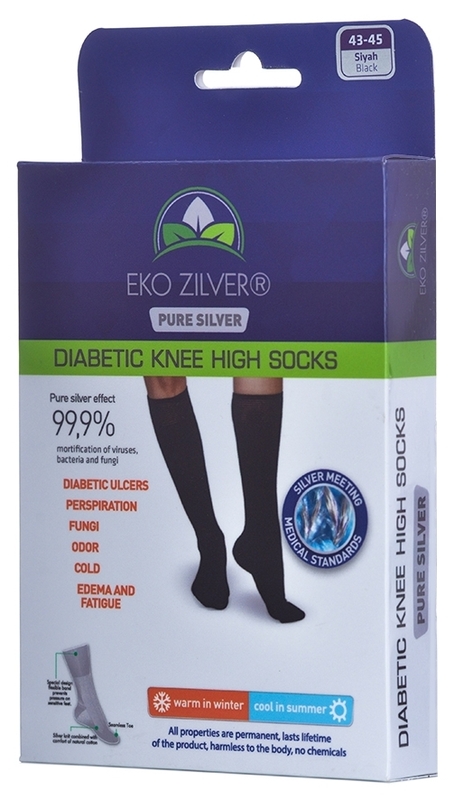 Use below-knee graduated stockings with an appropriate compression. 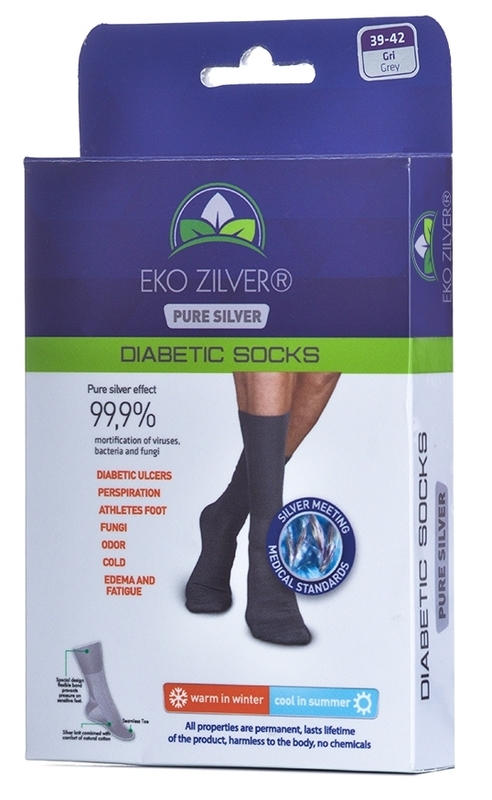 Class 1 stockings (exerting a pressure of 14-17 mmHg at the ankle) are generally sufficient. 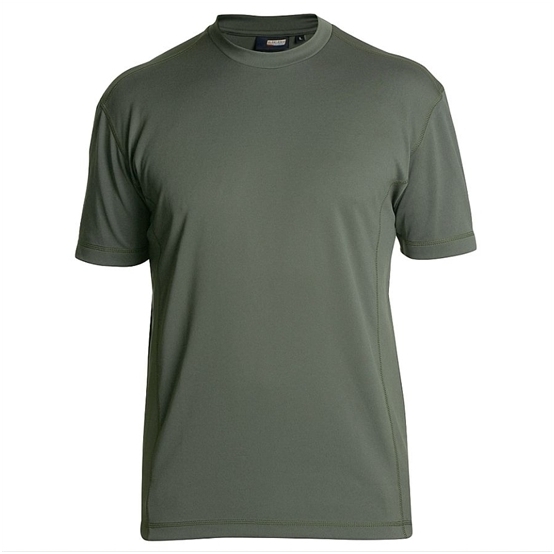 Get advice from a health professional (doctor, nurse or pharmacist) on correct size and fitting. If you think you have a high risk of developing DVT, see your GP before you travel. You may be prescribed blood-thinning drugs to lessen the risk of your blood clotting, or compression stockings (also called flight socks). 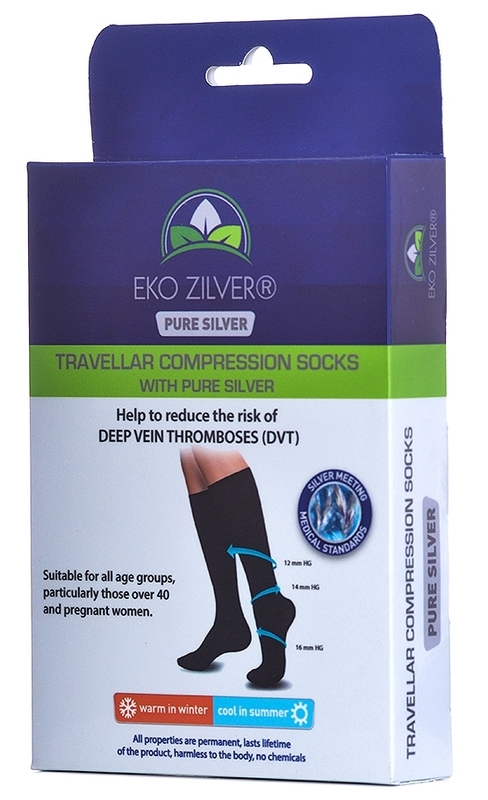 Studies have concluded that airline passengers who wear compression stockings during flights of four hours or more can significantly reduce their risk of DVT as well as leg swelling (oedema). It’s vital that compression stockings are measured and worn correctly. Ill-fitting stockings could further increase the risk of DVT. Flight socks are available from pharmacies, airports and many retail outlets. Take advice on size and proper fitting from a pharmacist or other health professional. Consider buying flight socks (compression stockings). Store luggage overhead so you have room to stretch out your legs. Do anti-DVT exercises. Raise your heels, keeping your toes on the floor, then bring them down. Do this 10 times. Now raise and lower your toes 10 times. Do it at least every half an hour (you can do it more often if you like). Don’t drink alcohol or take sleeping pills.